My God, it's full of carbs! In San Francisco it is not unusual to hear people order food with varying degrees of bad French accents... why not? After all we are mere hours from several of the most important wine producing areas in the world (and yes, we did save French wine making as we know it by replenishing their root stock after being decimated during the Great French Wine Blight, thank you). San Francisco is a food and wine snob town, and I make no apologies. We love our affinage, our charcuterie, our pinot noir and blanc de blancs. Which is why I find it hilarious that it's acceptable to refer to that infamous Montreal late night drunk food as "poo-TEEN" and not the more accurate and snobby "po-TAHN"*. Like "au gratin" or "tarte tatin". 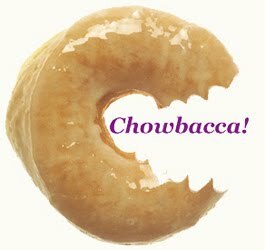 Of course, I can't blame San Franciscans... when I first encountered this delicacy in Milwaukee it was "poo-TEEN" and it was manna from Heaven. It's "poo-TEEN" all over, not some dialectic curiosity like Cleveland's "air-a-BEEK-a" coffee or Chicago's "deep dish pizza" (a gross misspelling of "bread lasagna"). Never mind my (infallible, correct) opinions on Chicago deep-dish or odd Midwestern linguistic tics. I'm here today to celebrate the magic of a proper poutine and two really hot Québécois gals I know who serve the stuff up the first Sunday of each month at Bender's Bar and Grill. If you've read this far and you are confused as to what exactly poutine is, here's the deal: pommes frites (that's snob for French fries), cheese curds and gravy. It's rib-sticking, high calorie food that is best washed down with a nice Flemish sour ale (you know, to cut the fat). And maybe a shot of "whisky". Eating while drinking will not, contrary to popular belief, absorb any alcohol but it will slow down its absorption. Since alcohol robs your body of potassium, having a fried spud can't hurt**. Tomorrow, Sunday January 5th 2014 at Bender's, 8PM. Mad'mzelle Stephanie rockin' the fry station. Go Canadiens! * Apparently it's pronounced "po-tihn" like Vladimir. According to Wikipedia, that is. ** Also drink in moderation and stay hydrated with water! *** But if you just want to hang out with Steph and Audray, Steph works at Bender's and Audray works at Lucky 13 in SF. Upstanding gals, the both of them.